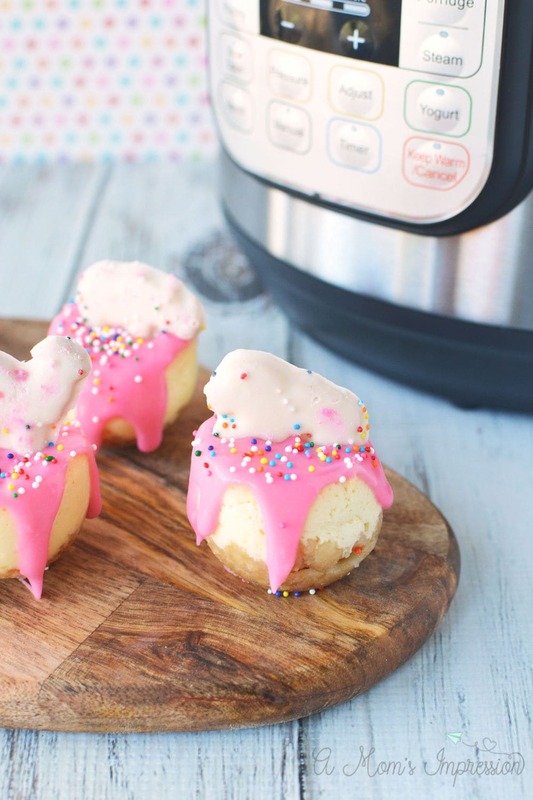 Instant Pot Animal Cookie Cheesecake Bites are adorable, delicious and the perfect bite of cheesecake. 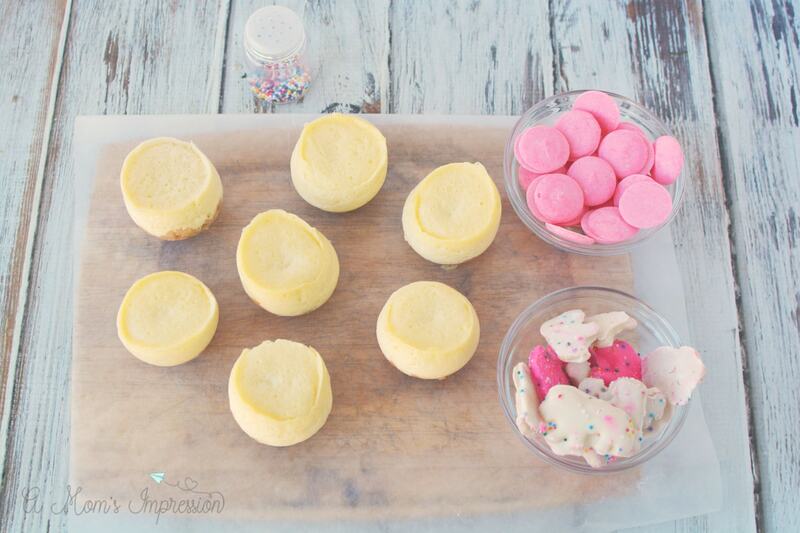 These miniature cheesecakes are the ultimate party food and perfect for a birthday party! Over the past two years I have fallen in love with my electric pressure cooker. I use my Instant Pot at least 5 times a week. It is so versatile and you might be surprised by all the different types of dishes that can be made. I used it a couple times a week for hard boiled eggs. We make our Instant Pot Honey Garlic Chicken a couple of times a every month, and dessert has never been so moist, like this Instant Pot Pumpkin Cheesecake that will be made a few times this year. 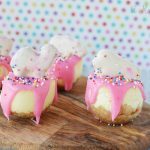 A couple of months ago, I made these Starbucks copycat Instant Pot Egg Bites using this baby food silicone mold. They were delicious but I wanted to get more usage out of the mold than just using it for egg bites. 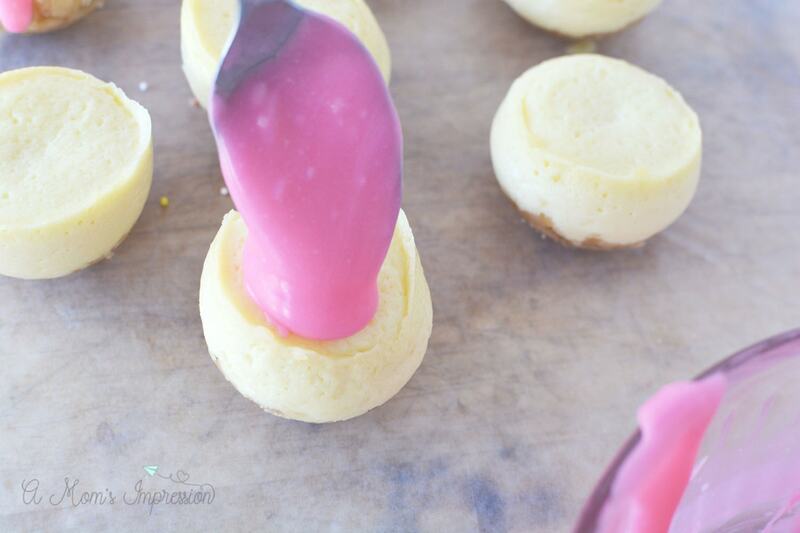 The cavities in the mold are a great size so I thought they would be perfect for miniature cheesecake bites. 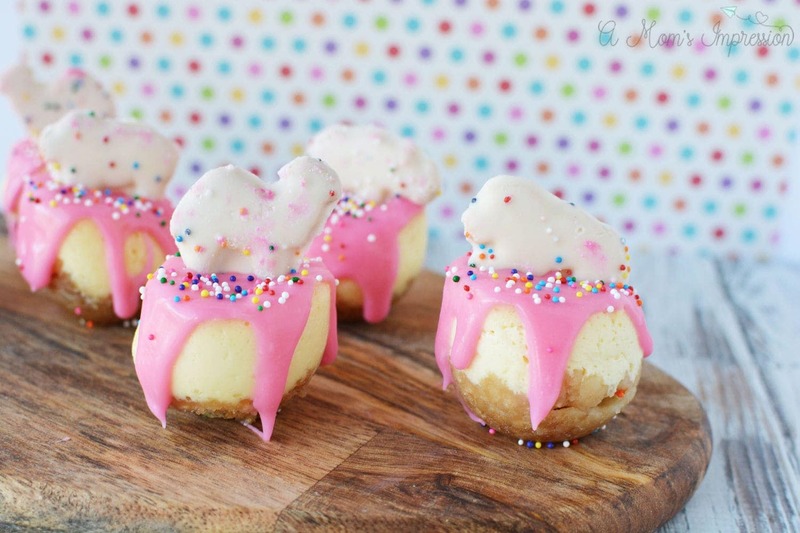 I was right, these Animal Cookie Cheesecake Bites are the perfect individual sized cheesecakes. My family loves Animal Cookies so I thought it would be fun to incorporate them into this recipe. If you aren’t a big fan, you can make this recipe with regular graham crackers and some sour cream topping. You could also top them with your favorite fruit topping, the possibilities are endless. Just a few little tips when you go to make this recipe. There are a lot of steps, but it is a pretty easy recipe to make. One tip is to be sure to grease your silicone mold generously with nonstick cooking spray, you don’t want them to stick when you go to take them out of the mold. I used animal crackers for the crust but you could easily substitute 8 graham crackers in place of them if you want. I didn’t cover my mold when I placed it into the pressure cooker. You can if you want to but it doesn’t need to be covered. The ganache is made with pink candy melts and heavy whipping cream. When melting the candy melts be sure to stir well for at least 1-2 minutes. You will need to refrigerate the ganache after the melts have been incorporated because it will be too hot to pour over the cheesecake bites. It took about 20 minutes in the fridge before it was ready to pour over. Grease cups of silicone mold with nonstick cooking spray. Set aside. 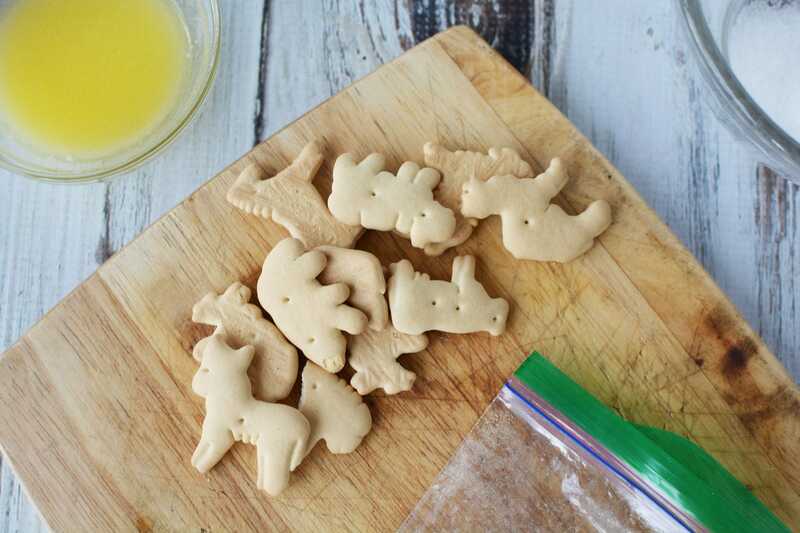 Use a jar or rolling pin to crush animal crackers placed into a re-sealable bag. Mix crushed crackers, butter and sugar together. Use a 1 tablespoon portion scoop to scoop into each of the 8 cavities in the prepared mold. Press down with your fingers to pack the cracker into the mold. Set aside. In a mixing bowl, beat cream cheese. Add sugar, eggs, and vanilla and beat well. Use a 3 tablespoon portion scoop to scoop cheesecake mixture into each cavity. Place 1 cup of water into the instant pot. Place the trivet onto a table and place the mold on the trivet. Use the handles to lift the mold into the instant pot. Place the lid on the Instant Pot and seal shut. Close the pressure release valve. Set the Instant Pot to manual, high pressure for 35 minutes. When the cooking cycle is complete, naturally release pressure for 20 minutes. Open the pot and remove the cheesecakes by carefully lifting the trivet out of the pot by its handles. Let set to cool before refrigerating. When cheesecakes are cool from the fridge and you are ready to top, leave cheesecakes in the fridge and prepare the ganache. In a small bowl, add heavy whipping cream. Microwave on high for 30 seconds. When the cooking cycle is complete, add candy melts. Stir well, at least 1-2 minutes. If desired, pop back into the microwave for 5 seconds and stir well until all candy is melted. Refrigerate for 15-20 minutes, stirring every 5 minutes. You want the color to change from a transparent pink to an opaque pink. You want it to be runny, but not too runny that it all runs off the top of the cheesecake. I refrigerated mine for 20 minutes. Pop cheesecakes out of the mold onto a surface protected with wax paper. Spoon a dollop of ganache onto the top of the cheesecake, allowing it to run down the sides. 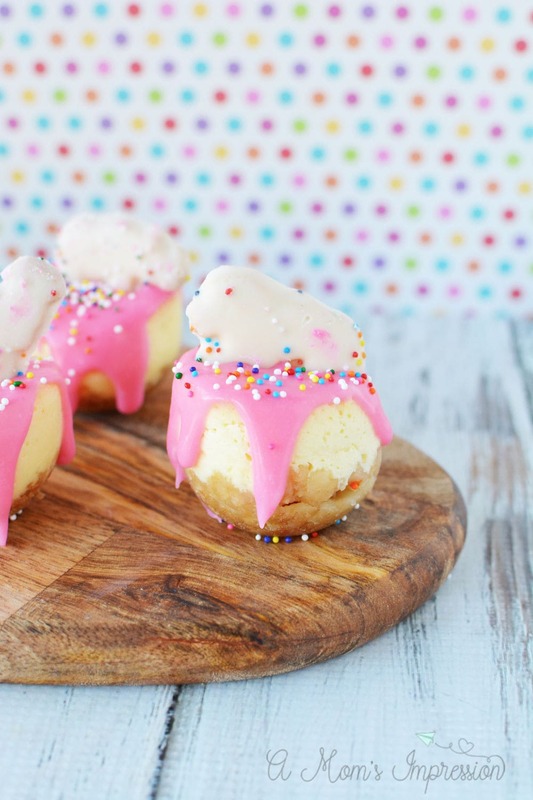 Place a frosted animal cracker onto the cakes and add rainbow sprinkles. Repeat until all cheesecakes are covered. Let me see if I can pull that up.